Dimensions 11 in. x 8 in. x 9 in. 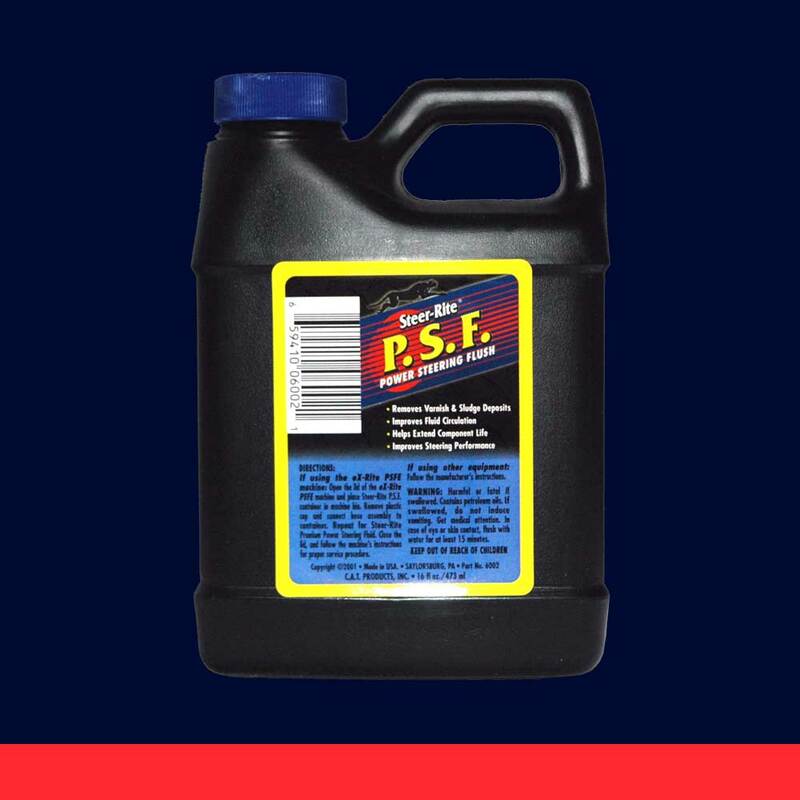 Steer-Rite PSF is designed to thoroughly clean the power steering system prior to a fluid exchange. Also available in a bladder bag as part of the 6008 kit for use with the eX-Rite PSF Exchange machine.